Postmodernity is being supplanted by a new emergent age, characterized by the internet's ability to bring together communities and give them the tools to organize themselves and express the truth as they see it. Complexity and emergence offer an explanation for the positive experience of the art object, and fills the gap critiqued by Adorno as the great failing of aesthetic writing -- that there is no metanarrative in a world in which idealism has been crushed. Serious discussions about emergence have been appearing in other fields since the postwar era, especially in physics, chemistry and biology. For example, in biology, emergence has been used to explain properties of life forms that go beyond explanation and transcend their component parts. In the words of one postwar biologist: "Life itself is an emergent property." More recently, In the field of theology, Philip Clayton has taken an interdisciplinary approach to emergence, and posited that emergence suggests a new approach to the problem of consciousness, which is neither reducible to brain states nor proof of a mental substance or soul. In his book, Mind and Emergence: From Quantum to Consciousness, he advocates emergentist panentheism and a Christian constructive theology consistent with the new sciences of emergence. Michael Pearce's book is first major effort to use emergence as a model for aesthetic theory. Like Clayton, Pearce takes an interdisciplinary approach, weaving together quotes and observations by archaeologists, art historians, evolutionary biologists, philosophers, physicists, semioticians, and theologians. Partly a personal meditation, but also an exploration of scientific and philosophical ideas, Art in the Age of Emergence is intended to challenge the current orthodoxies of contemporary aesthetics. The desire for authenticity is antithetical to the money dominated postmodern art world, in which those who purchase art are manipulated by cynical artists and dealers who exploit socialist pretensions but luxuriate in the benefits of a rampant, unregulated free market capitalism. Pearce's idealism will strike many readers as being gloriously out of touch: something which he would likely take as a compliment. As well-stocked as his book may be with elegant theories and interdisciplinary overlaps, Pearce is nearly alone among serious art writers in his taste and orientation. One of the book's insistences--that representational art is a favored manifestation of emergence--seemed worth questioning. 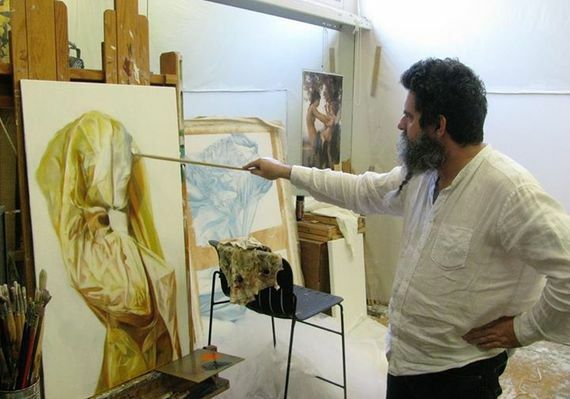 I asked Pearce: "Why do you feel that Emergence works so well in relation to representational art? Wouldn't it work for abstraction too?" Yes, it does. Emergent aesthetics support both abstraction and representation. But abstraction is only a part of the whole, not a theme that is superior to representation. To think that abstraction is superior to it is an idea that comes straight out of Kant, who thought that we could somehow detach ourselves from emotional responses to art and view it with "disinterested interest", with an analytical approach that distanced the work from the viewer. It's an idea that was promoted in the early twentieth century by modernists like Herman Broch and Walter Gropius, who were attempting to reinvent culture as a response to the horrors of the world wars. But the idea that we could detach ourselves from emotion dehumanizes us as badly as ever. Broch even said that beauty was evil! He wrote a lengthy essay about it, describing how kitsch led to it. He wanted to dispose of anything kitsch, and to get rid of sentiment. But sentiment is a thoroughly human quality -- what could be more kitsch than the mother holding a newborn baby? And how could anyone regard a moment like that without feeling the kitsch sentiment it inspires? To pretend that human beings can be detached from emotional responses like this is ridiculous. Again, I'm not saying that abstraction is bad and wrong -- but that it's only a part of the art we make as a response to human experience. We've tried to separate emotion from art for a century, but disinterested interest is a completely artificial imposition upon the way mind works. The emergent mind is founded upon sensory experience. If art reflects mind, then why would we attempt to deny the value and importance of sentiment in our art? 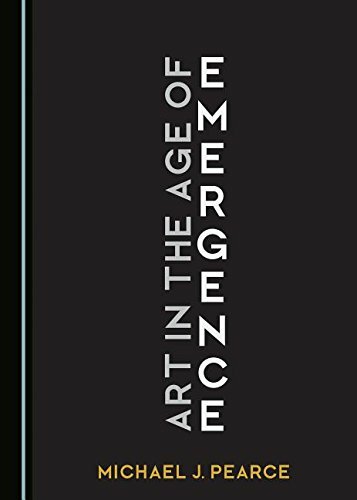 Art in the Age of Emergence is a dense book that is ultimately quite optimistic, and a genuine conversation-starter. In its postscript, Pearce states that "We are moving beyond the negative impact upon human consciousness caused by the first half of the twentieth century... We all know what an emergent experiences feels like: it is a moment of harmony, of wonder, of completion, felt both as a deep affirmative feeling of unity and as a physiological experience that takes place in the brain." For Pearce's ideas to be validated his friends and admirers are going to have to make works of art that live up to his very high expectations. For the time being, Pearce is perhaps the only serious art writer in America who offers toasts to Bouguereau and looks to theology for ideas about aesthetics. He is already at work on another book which will deal with emergence and kitsch. For now, his ideas and enthusiasms mark Pearce as decidedly contrarian. Or course, in the art world taste can shift very suddenly and unpredictably. If things move in the direction Pearce feels they will, he will likely see it as a manifestation of emergence, something he noticed before everyone else caught on.